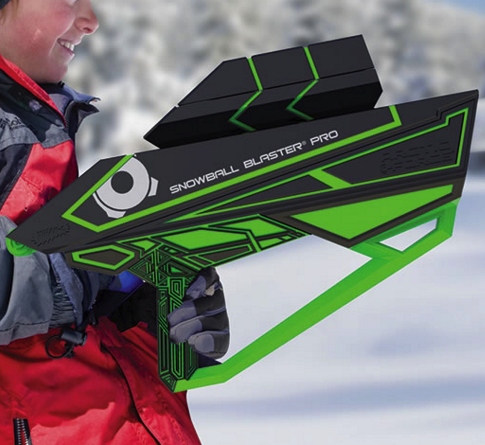 Snowball Blaster Pro for fun on a snow. Snowball Blaster Pro is a snow toy that makes softball-sized snowballs and launches them in a fast, long-range chain of snowball mock fights around the house or on a snowball park. 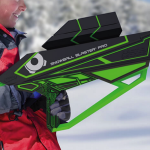 It works very simply – place the snow in the forming chamber and close the lid. 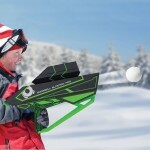 One filling makes three round snowballs ready do hit the target. To blast your mark, place one snowball in the muzzle, aim the launcher, and pull back the slingshot mechanism—the distance a snowball travels depends on the force applied.